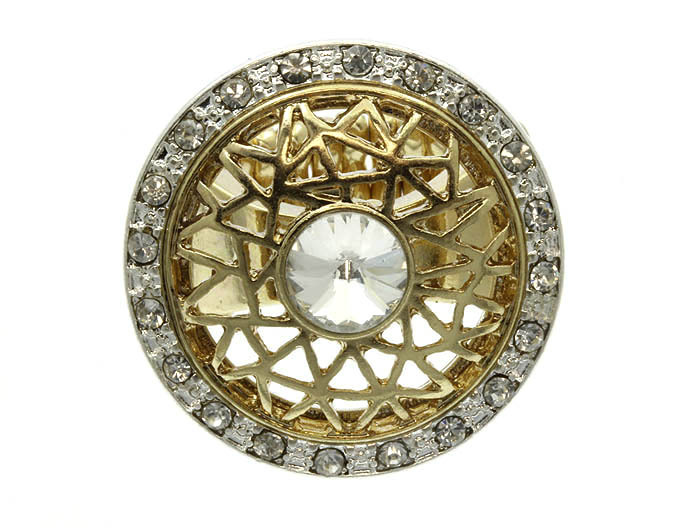 Delicate netting from gold plated metal with a large clear stone in the center make up entrancing and classic Mackenzie ring. The design is complemented with silver tone edge with clear crystals. Add this beautiful piece of fashion jewellery to your collection today.